Happy Saturday Morning! It’s the start of the first holiday week here! I’m hosting Thanksgiving dinner on Thursday, and well, this house isn’t going to clean itself. Believe me, I’ve given it enough time, ugh! I’m on the Scrapbook Adhesives by 3L® blog today for a blog hop with Art Impressions Stamps. 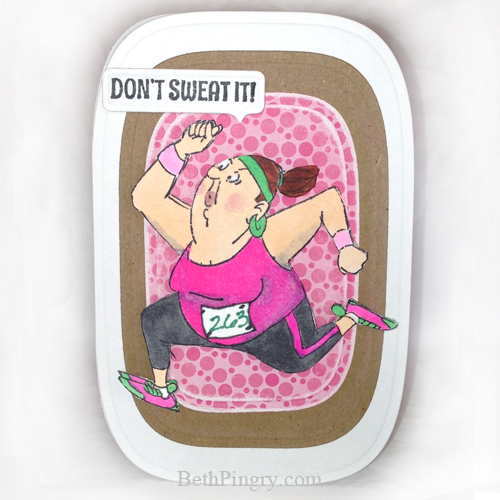 I received this fun runner lady stamp, so I layered her up, colored her in and gave her a race bib too! 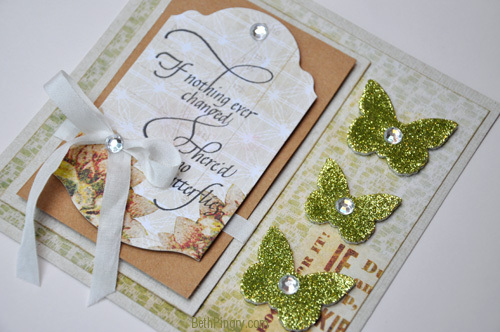 See all the details on this post, and be sure to enter to win adhesives and a stamp! Disclosure: I received a stamp in return for this blog hop post. I am on the design team for Scrapbook Adhesives by 3L® and receive adhesives as part of my agreement. Happy Friday! I’m up on A Jillian Vance Design today! I’d love it if you stopped over to say hi there too! 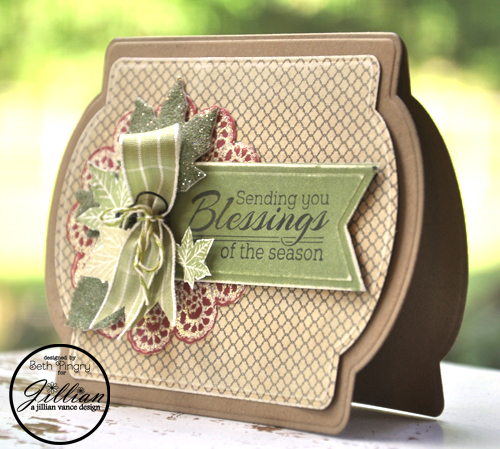 Here’s the card – I think it turned out great – who knew you could go red and green for fall? I started the project taking photos for a tutorial but somehow missed the middle, I must have been caught up in the process. I will go back and recreate the middle and post a tutorial this week, so do come back, OK?? Good Saturday Morning! I am sooooo ready for Spring! 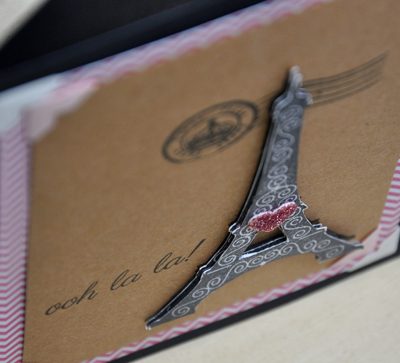 Today on the Scrapbook Adhesives by 3L® blog I have this card – with a few more details and photos. It features the new 3D Foam Butterflies released at CHA a few weeks ago. If you hop on over to Scrapbook Adhesives by 3L® & Lawn Fawn this week, (follow the links on the SBAby3L blog) your comments will enter you to win fabulous adhesives and stamps! Your comments here will win you my undying appreciation, so go ahead and comment on all the blogs! The weather here took a turn and it’s suddenly feeling a lot like Christmas! I don’t mind the Christmas part, it’s the cold that I’m not so ready for! However, I could be ready, let me just get the tree up, and get some gift cards ready! Thanks to A Jillian Vance Design, for their early Christmas gifts and the opportunity to be a Guest Blogger! 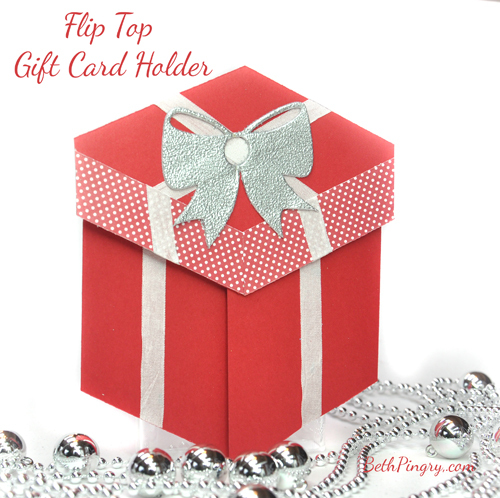 I came up with this cute little gift card holder, shaped like a gift, but it’s a card! I based this loosely on this Graduation Card, it’s a bit differently constructed, and definitely easier! 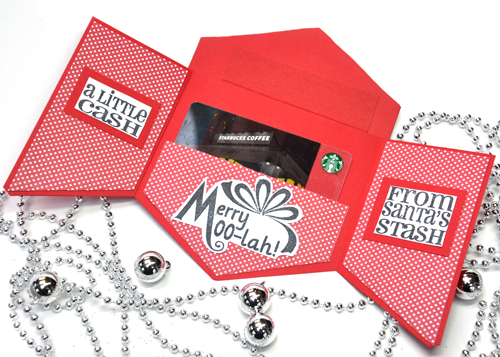 Just flip up the top, and it opens to reveal the gift card tucked inside. 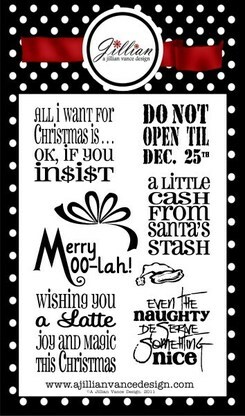 The stamped messages are from A Jillian Vance Design’s Merry Moolah set, which is perfect for gift cards and gift tags, and includes 6 fun sentiments! I’ve had a great time, and I hope you liked my projects! Thanks Jillian for this fun adventure! PS, let me know in the comments if you would like a tutorial on this card! Ooh La La Card and Giveaway! I’m having so much fun as a Guest Designer for A Jillian Vance Design this month! 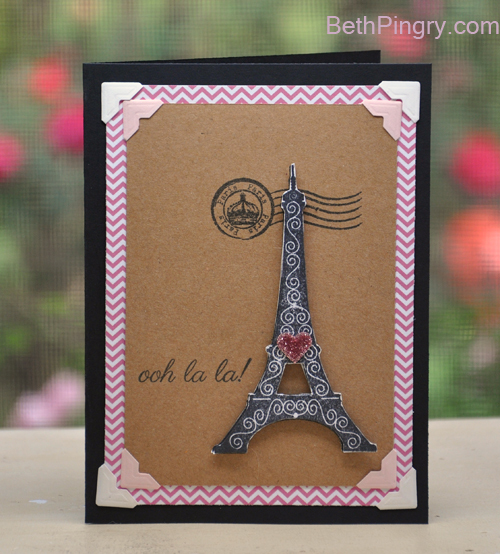 Today I played with the Bonjour Paris stamp set. And a view of the dimension – You can find the instructions on today’s post on the A Jillian Vance Design Blog. This set has a fun combination of versatile and fun images and phrases! Thanks for stopping by! And thanks for A Jillian Vance Design for giving me this opportunity! I promised a giveaway, so let’s do one! 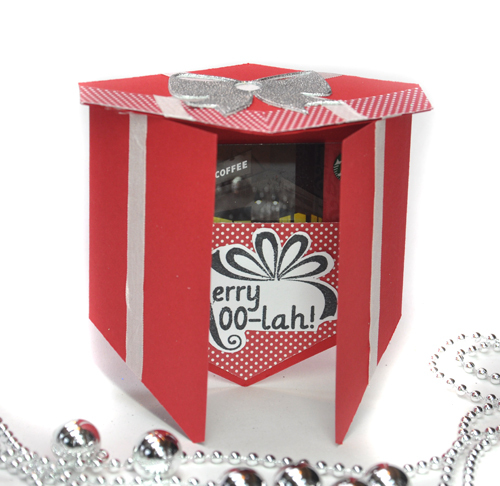 You know I am on the Scrapbook Adhesives by 3L® Design Team. I have a ginormous stash of adhesives, including these adorable 3D Foam Hearts! I’ll take comments all weekend, and pull a winner on Monday for a prize package valued at $25! Help me spread the word and share this with your friends!